← Manure irrigating in the rain? As soon as the crops come off of the fields in the fall, manure farmers race to get their manure cesspits emptied so they have enough room for winter storage. Because of the heavy rains earlier this year, many never were able to empty the winter contents of these cesspits earlier in the spring, so they’ve been doing it when they can during the summer. Sometimes wheat stubble and hay fields caught an extra application here and there, despite what was called for in their nutrient management plans. 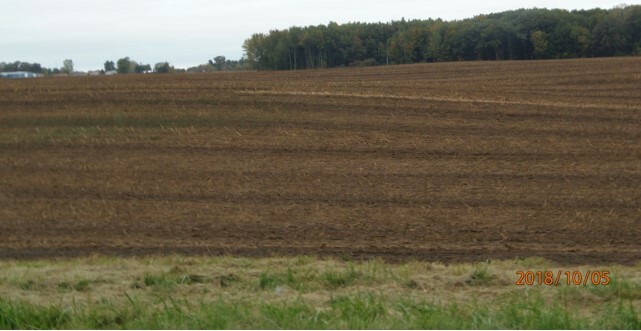 Waterland-New Flevo field, north side of M34 between Whig and Sword Highways, Dover Twp., Michigan. South Branch, Raisin watershed. Big field, liquid manure application. Even though the liquid manure was incorporated (mixed into the top few inches of soil), it will stink for days.